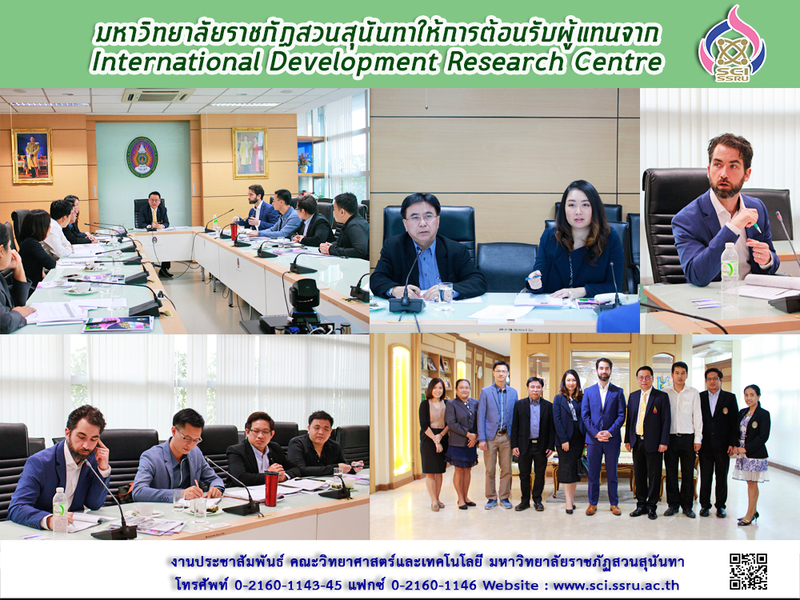 Suan Sunandha Rajabhat University welcomes a delegation from the International Development Research Center (IDRC), Canada. On 30 January 2019, Asst. Prof. Dr. Somdech Rungsrisawat, Vice President for Academic Affairs, SSRU welcomed Mr. Justin Boudreau, Manager, Grant Administration Division, International Development Research Center (IDRC), Canada. There were representatives from Faculty of Science and Technology (Assist. Prof. Dr. Anat Thapinta, Dean; Dr. Wattana Panphut, Deputy Dean, and Dr. Ha Thanh Dong, faculty member), International Affair division (Ms. Napasri Suwarnajote, Assistant to the President Office; Ms. Nutchanart Pengsuriya, Head of International Affairs Office; Ms. Isara Sangprasert) and Finance and Human Resource divisions (Mr. Montree Sairotrung). The meeting discussed on various issues regarding the organization of the IDRC funding recipient under the Innovative Veterinary Solutions for Antimicrobial Resistance (InnoVet-AMR) program.